Best MYPROTEIN Coupon Code Validated Daily! Deal Categories: Coupons.Stores: Muscle and Strength. 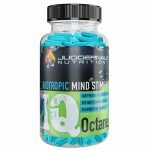 $15 Off Orders Over $200 at Muscle and Strength. Use coupon code 15OFF200 at checkout.